In January 2011, John A. Coleman became the Executive Director of Bay Planning Coalition, a non-profit, public benefit, membership corporation, to advocate for the balanced regulation and use of Bay-Delta resources to ensure that commerce, recreation and the environment thrive in the region. The Coalition’s 175 members represent a broad spectrum of public and private Bay-Delta entities, including ports, maritime and shoreline industry, labor unions, local government, residential and commercial builders, recreational users and engineering, planning, environmental science, construction and legal professionals. The Coalition is governed by a 40-member Board of Directors. During his time with Bay Planning Coalition, Mr. Coleman has worked with the Bay Conservation and Development Commission on the Bay Plan Amendment and on their Strategic Plan update, and has greatly expanded the Coalition’s educational and advocacy presence locally and nationally, including introducing an annual Workshop Series, and continuing to build support in Sacramento and Washington, DC for the interests of the membership. Coleman was elected to the Board of Directors of the East Bay Municipal Utility District in 1990 and has been continuously re-elected since that time. He represents Ward 2, which includes the communities of Alamo, Lafayette, and the Town of Danville; and portions of Pleasant Hill, San Ramon, and Walnut Creek. From 1996 to 2000, he served as President of EBMUD’s Board of Directors and was elected to serve as Vice President in 2009 and 2010. In 2011 and 2012, he was again elected to serve as President. Coleman was elected as the President of the Association of California Water Agencies (ACWA) in December 2013.Coleman currently serves in the following capacities: Board Member of the Marine Exchange of the San Francisco Bay Region; Chair of the Upper Mokelumne River Watershed Authority (UMRWA); Board Member of the East Bay Leadership Council; Board Member of the Freeport Regional Water Authority (FRWA); member of the San Francisco Bay Restoration Authority Advisory Committee; member of the Maritime Industry Advisory Board of the California State University Maritime Academy; member of the East Bay Economic Development Alliance Legislative Committee, and Board Member of DERWA, the joint powers authority for recycled water service provided by EBMUD and the Dublin-San Ramon Services District. 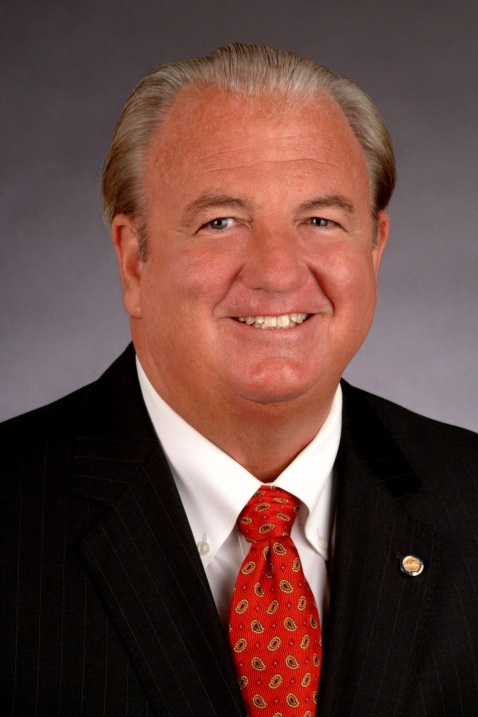 Additionally, Coleman’s past service includes: Chair of ACWA California Finance Water Task Force; Chair of ACWA’s Federal Affairs Committee; President of the board of the California Association of Sanitation Agencies (CASA); President of DERWA; member of National Water Resources Association (NWRA); member of WateReuse Association; member of ABAG’s CALFED Task Force; member of the Advisory Council for California Forward; Chair of Advisory Council for California Forward Water and Land Use Subcommittee; Deputy Director of External Affairs for the California Conservation Corps under Governors Wilson and Davis; President of the Lafayette Chamber of Commerce; Board Member of the National Association of Service & Conservation Corps; and member of the California Biodiversity Council. Coleman is an Eagle Scout, and is past Scoutmaster of, and current Eagle Advisor to, Boy Scout Troop 243 in Lafayette. He has been elected to the Council Executive Board of the Boy Scouts’ Mt. Diablo Silverado Council. Coleman holds a Bachelor of Sciences in Natural Resources from the University of California, Berkeley, and a certificate in management from the University of the Pacific School of Business and Public Administration. Emily Loper is the Director of Operations & Policy for the Bay Planning Coalition where she designs and executes policy strategy for BPC’s policy committees and manages internal operations. Prior to joining BPC in February 2019, Loper was a Policy Director at the Bay Area Council, where she led aspects of the Council’s transportation policy work at the state, regional, and local level on behalf of high profile business members. In 2018, Loper advocated for the successful passage of Regional Measure 3, a $4.5 billion plan to invest in transportation projects across the Bay Area, and led the advocacy to secure significant capital and operating funding for ferry expansion in the expenditure plan signed by Governor Brown. Loper brings a unique regional water transit expertise to BPC, and continues to work with public and private partners to advocate for the expansion of ferry service to support sustainable growth along the Bay Area’s waterfront. She has also worked with an array of regulatory agencies to support the growth of new transportation technologies and services to complement public transit systems and improve regional mobility. In 2016, Loper proudly advocated for the successful passage of the San Francisco Paid Parental Leave Ordinance, which made San Francisco the first city in the nation to guarantee fully paid leave for the purposes of bonding with a new child. She regularly testifies before public agencies, serves on public education panels, and briefs members of the press. Loper has experience working in federal and local legislative offices for Senator Dianne Feinstein on Capitol Hill and then-Supervisor David Chiu in San Francisco City Hall. Emily received a Master of Public Administration degree from the USC Price School of Public Policy, where she was a Dean’s Merit Scholar, and graduated with honors from UCLA with a degree in Political Science and International Relations. Outside of work, Emily enjoys spending time outdoors with her husband and young son. Roman Berenshteyn joined the Bay Planning Coalition in September 2016. Roman received his BA in Environmental Studies from San Francisco State University, where he worked on a number of sustainability-oriented projects and spent a semester as a Teaching Assistant for an Environmental Law and Policy course. Before coming to BPC, he worked in a communications role for a San Francisco-based conservation and environmental justice nonprofit, where he further developed an interest in local policy issues. 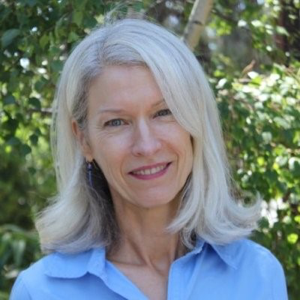 Ann Spaulding joined Bay Planning Coalition as Program Manager in September 2018. She has over 20 years of experience working with nonprofits, local government and environmental consulting firms, providing program management, stakeholder outreach, business development and government relations. As Program Manager for Bay Planning Coalition, Ann Spaulding’s first project will be collaborating with Sonoma Water, NOAA and other agencies, to reach out to stakeholders and the public about the Advanced Quantitative Precipitation Information (AQPI) project. The goal of the AQPI is to better predict the changing weather conditions brought about by climate change and therefore help prevent catastrophic flooding and property damage. Ms. Spaulding’s water-related and environmental consulting background began in 1992, with the promulgation of stormwater regulations and the need to inform and engage affected industry about compliance. In addition, Ann has served and is currently Water Task Force Co-Chair for the East Bay Leadership Council’s (EBLC), where she plans educational and policy discussion topics that include innovation and leadership in water supply planning , water recycling, potable reuse, storage sometimes leading to EBLC advocacy positions on important water legislation. Communications and collaboration with institutions, stakeholders, agencies and elected officials. Program development, coordination and management. Government relations, representation and policy analysis. Business development strategy and implementation.